You May Choose One Of The Following Starters. Pureed chickpeas with sesame seed paste, olive oil, lemon juice and a hint of garlic. Mushrooms sauteed in garlic and herb butter with white wine. 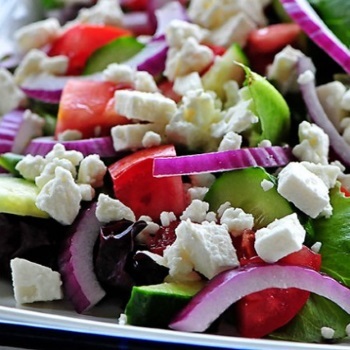 Cubed feta cheese on a mixed Mediterranean salad and drizzled with Efes special dressing. Meat Balls flavoured with fresh Mediterranean herbs and served in a tomato sauce. Freshly fried filo pastry stuffed with a mixture of feta cheese, egg & parsley. Fried goat’s cheese served with a sweet chilli dip. Garlic sausage grilled on charcoal served with a hummus dip. Char-grilled Chicken wings marinated with fresh chillies, spices, onions. House special lamb off the bone oven cooked with a traditional blend of herbs and spices along with apricots, honey and cinnamon served with Efes rice. Tender slices of Scotch roast beef served with roast potatoes and seasonal vegetables, horseradish and gravy. Oven baked chicken breast stuffed with feta cheese and sundried tomatoes, topped with a cream, dijon, white wine and mushroom sauce served with roast potatoes & seasonal vegetables. Cubes of chicken breast casseroled with herbs, mushrooms, tomato and peppers served with Efes rice. Seasoned seabass skewered with peppers and onions char-grilled served with roast potaotes and seasonal vegetables. 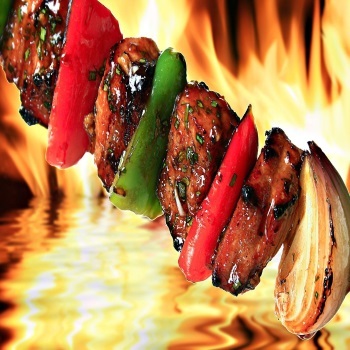 Efes chicken roast beef, chicken wings, char-grilled meatball, chef´s dish of the day served with Efes rice. Oven baked layers of aubergine, seasonal vegetables and potatoes, topped with béchamel and cheese served with Efes rice. Smoked aubergine stuffed with sautéed green peppers, onion, tomato and garlic served with Efes rice.